Dr. Estrada strives to provide the patients of his practice with dental care that far exceeds recommended standards identified by the American Dental Association. He continues to expand his knowledge of available dental procedures by spending numerous hours in educational study groups and dental related activities that provide he and his staff with the latest advancements and techniques in the field of dentistry. 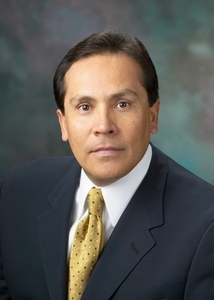 Dr. Estrada and his wife Eve are long time San Marino residents and both have participated in numerous civic activities and causes in and around the San Gabriel Valley. They share an avid interest in golf and enjoy time together with their two daughters, Lauren and Sydney. Both daughters are graduates of The Westridge School for Girls in Pasadena. Lauren is also a graduate of Stanford University and is currently pursuing her medical degree at the University of Arizona School of Medicine. Sydney is a graduate of Santa Clara University and is presently enrolled in graduate studies at the University of Southern California Rossier School of Graduate Education.